Text by Philipp Keel, Christoph Niemann. 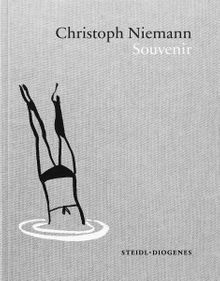 This elaborate book features over 160 ink and pencil drawings by Christoph Niemann, each a story of an unfamiliar place. They are observations on traveling, arriving and immersing oneself, on the melancholy of being on the road and the adventure of discovering new destinations—among them New York, Paris, Hong Kong, Amsterdam, Seville and Kyoto. 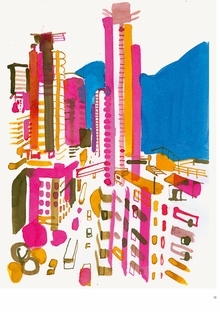 Born in Waiblingen, Germany, in 1970, Christoph Niemann is an artist, graphic designer and author of various books. His work has appeared on more than 25 New Yorker covers since 1998, with illustrations in Weltkunst magazine, Wired and the New York Times Magazine. He was inducted into the Art Directors Club Hall of Fame in 2010. Niemann lives and works in Berlin. Clth, 9.25 x 11.75 in. / 256 pgs / 161 color.